This simple, free app has five very useful functions. Number 4 is the best! Send your current location to someone from your contacts list via SMS. Quickly send your location to a pre-selected preferred contact via SMS. Quickly send an Emergency Distress Signal to a pre-selected contact via SMS. 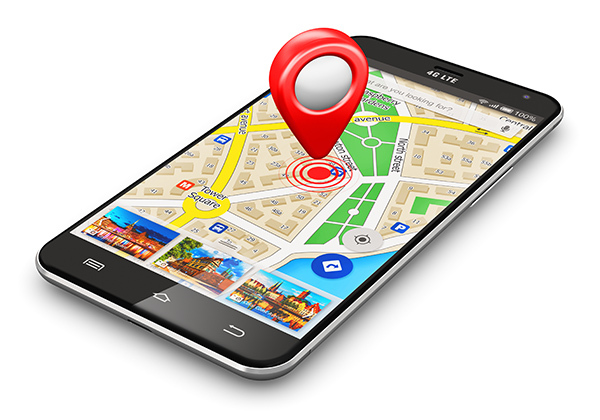 Get your phone’s location via SMS at any time by sending it a pre-defined SMS from any other phone. Cause your phone to play a loud alert sound even if set to silent. This is the perfect app for installation onto your child’s phone because they can send you their current location at any time, very easily. Even more importantly, you can make their phone send you its location on demand. If you wonder where your child is located and they are not answering their phone, just send them a text message that says “Locate(PIN)” for example Loacte1234, and their phone will automatically reply with its current location. The default PIN code of 1234 can be set to any 4-digit code that you will easily remember under stress. The person receiving the location SMS does not need to have this app installed. They will receive the GPS location in a text message as a Google map-link and when they tap on the link, the location will be shown on a Google map. When you install this app on your phone, or your child’s phone, go to the SETUP screen and select your PREFERRED CONTACT, your EMERGENCY CONTACT, and select your own 4-digit PIN. Also, the current PIN is needed in order to select a new PIN, so your child can not change it without your permission. After setup is complete, the names of your preferred contact and emergency contact will show up on their respective buttons. When you send a distress signal to your emergency contact, your phone will send an SMS that says “PLEASE SEND HELP” along with your current location to your selected contact. You can change the text of this message in the setup menu if you so desire. If you lose your own phone, and your phone has this app installed, you can simply borrow a friends phone, send an SMS to your own phone that says “Locate1234” and receive a reply SMS with its location. PLEASE NOTE! Location Services MUST be enabled on the device in order for it to send its location. All location SMS messages are sent twice to ensure reliable delivery. If you think that you are close to this device but still unable to locate it, you can remotely cause this device to sound a loud alarm tone, even of this device is set to Silent. Using another smartphone, send an SMS to this device that says “Alarm(PIN)” (for example, Alarm1234) and this device will sound a loud alarm tone and set the ringer volume to its highest level.